TOMORROW IS YOUR last chance to send letters and parcels by Standard Post so they’ll get to their destination in time for Christmas. If you need to send letters or parcels by standard or registered post anywhere on the island of Ireland it needs to be in the mail tomorrow. The deadline for sending parcels to Europe or Britain has already passed but you can still send a letter by standard post if you get to the post office before close of business today. Wednesday is also the last day you can use An Post’s International Courier Service to send mail to Europe and the USA while the deadline for Britain is Thursday. 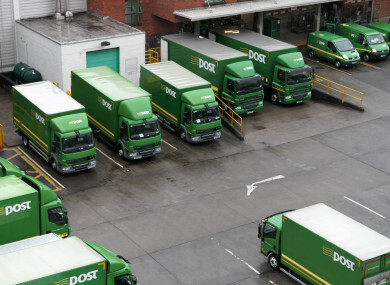 The last posting date for Express Post and Courier Post destined for somewhere in the Republic of Ireland is Saturday and the deadline for Northern Ireland is Friday. We advise customers to always use full postal addresses, to write clearly, seal all items carefully and to use lots of wrapping paper and tape on parcels. A return address on all items will allow us to safely return items that cannot be delivered. An Post employees are singing Christmas carols in Dublin’s GPO every lunchtime during December and all members of the public are welcome. Email “Tomorrow is the last day to send standard post in time for Christmas”. Feedback on “Tomorrow is the last day to send standard post in time for Christmas”.